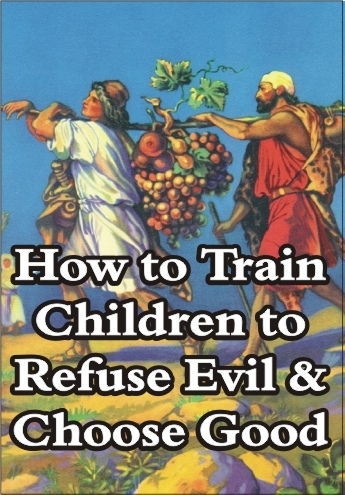 That if it were truly possible to train a child to refuse evil and choose good? What more important thing could a parent do for his child?! Is such a thing even possible? Yes! How? By culturing simple appetites for the ‘best of the best’ in one’s child. The prevailing philosophy of our day that says we should expose a child to lots of good AND evil and let him choose is wrong! Such a child will, most likely, choose evil. The land of Canaan was a “land flowing with milk and honey.” A “butter and honey” diet would be a diet even better than “milk and honey.” This message explains and illustrates the “butter and honey diet” parents need to feed their children to train them to refuse evil and choose good. It also teaches how to decrease wrong appetites and increase right appetites.